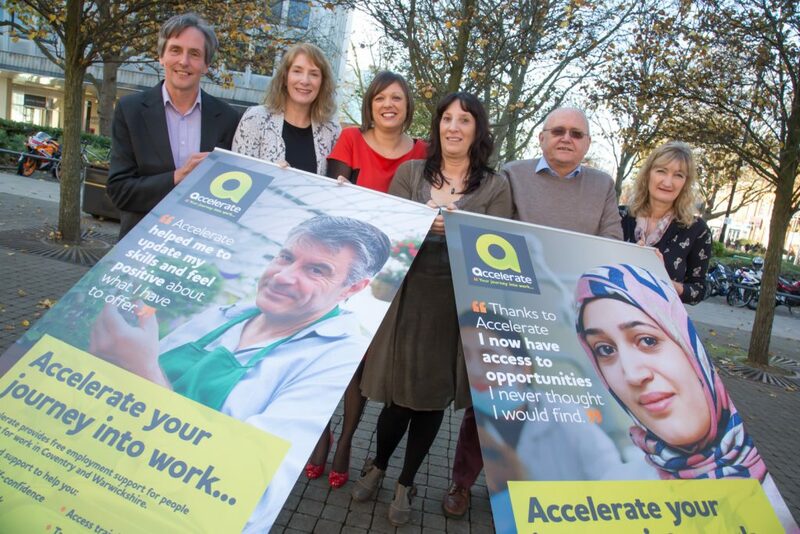 More than 150 people have signed up to a new programme to help get people furthest from the labour market into work – just four weeks after it officially launched. 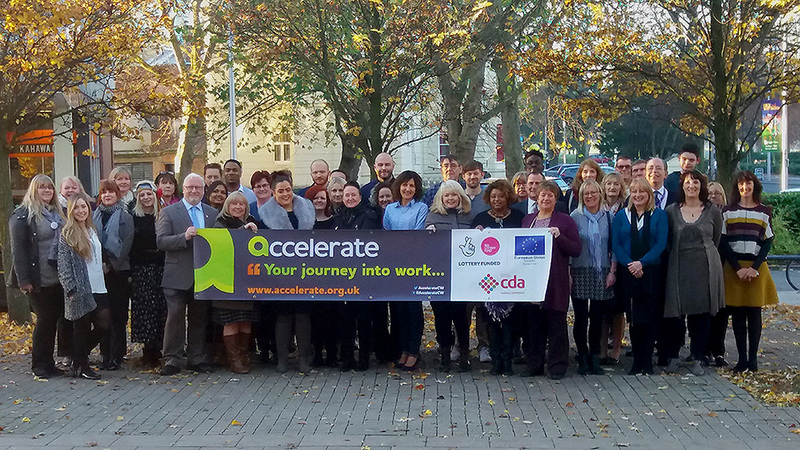 The £3m Accelerate project unveiled the first big milestone had been achieved at a special event held in Coventry yesterday to give people more information on what support is available to them. More than 200 individuals turned out at Central Hall to find out about the initiative, which has been designed to help nearly 900 of Coventry and Warwickshire’s most disadvantaged people to tackle barriers preventing them from getting a job or becoming self-employed. They heard how 23 local employability partners have come together to provide each participant with a single access point to confidence building, work experience and skills enhancement, including training on IT, Literacy, Numeracy and Enterprise. There was also the opportunity for them to walk round the large Information Fair and take part in bite size training sessions, such as recording a radio interview, first steps to starting a business and an interactive healthy eating workshop. 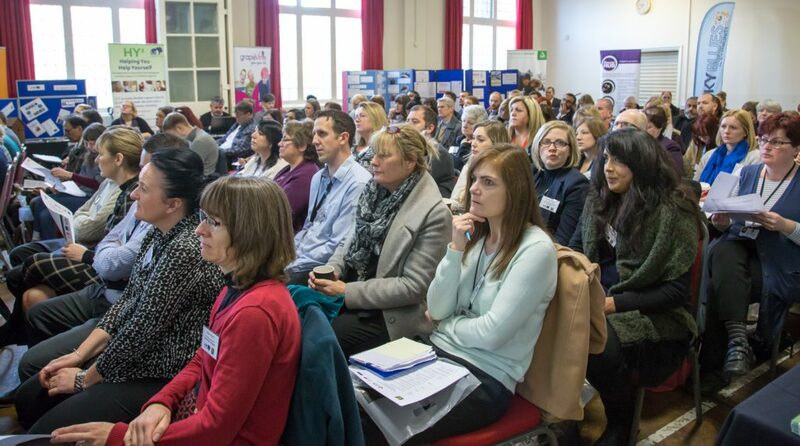 “The response we have had from people in Coventry and Warwickshire has been fantastic and we certainly didn’t expect to pass 150 participants in such a short space of time,” explained Tamy Matanky, who is leading the project on behalf of Coventry and Warwickshire CDA. She continued: “Accelerate is different to other employment support initiatives that have been tried before and works because each participant receives individual employment advice and support to overcome the barriers holding them back. Accelerate, which is part of ‘Building Better Opportunities’ – a programme jointly funded by the Big Lottery Fund and the European Social Fund, held the launch event to bring all of its delivery partners together and then showcase the expertise and opportunities available to people in Coventry. Local radio stations Radio Plus and Hillz FM were also broadcasting throughout the day and the Information Fair showcased the range of courses and one to one support on offer to job seekers who are struggling to find employment. It is responsible for giving out 40% of the money raised by National Lottery players for good causes. Every year it invests over £650m and awards around 12,000 grants across the UK for health, education, environment and charitable purposes. Since June 2004, it has awarded over £8bn to projects that change the lives of millions of people. The Accelerate project has received £3m of funding from the Big Lottery Fund and European Social Fund as part of the 2014-2020 European Structural Investment Fund Programme in England. The Department for Work and Pensions is the Managing Authority for the England European Social Fund programme. Wow, I am a 23 year old undergraduate surfing the net for new job opportunities, I’m gripped at the passion ‘Accelerate’ sounds fantasic, it’s a real great community initiative! !